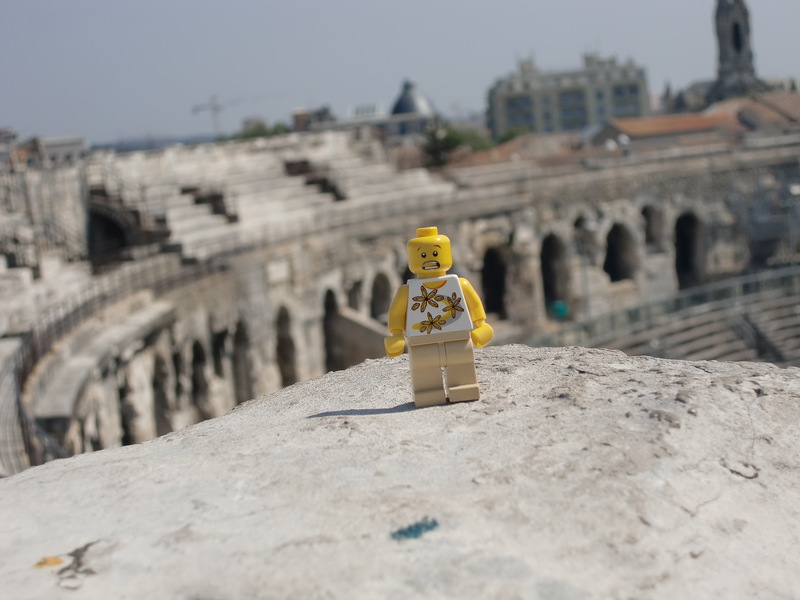 Bubba returns to the medieval city of Avignon, France and visits the surrounding area. He insists that he is now Master of the Keyboard and wants to write his own story. 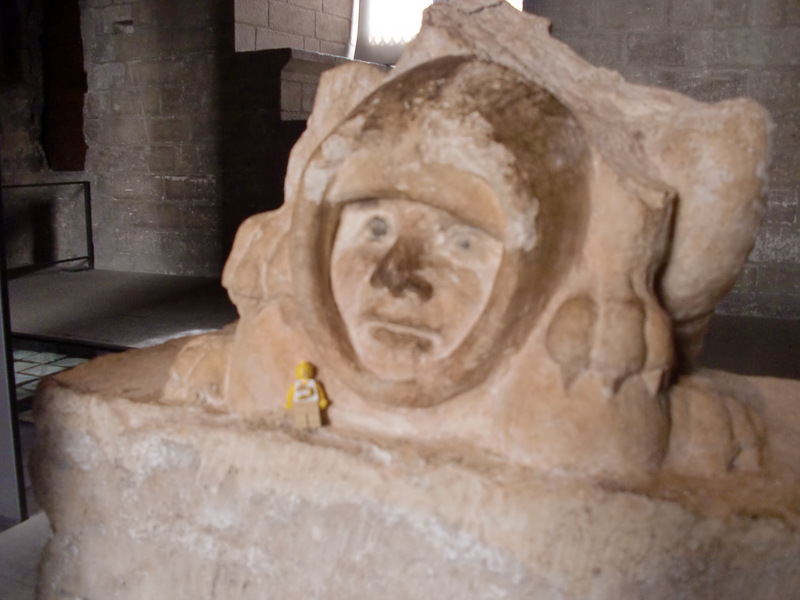 Located in Avignon is a relic of tremendous importance among my plastic people. The debate among historians, archeologists, and injection molding professionals as to which came first, the head or the body, continues, but there is no doubt that this is the first attempt at a detachable, interchangeable head. It did not catch on right away. In those days they did not have plastic so they used stone. It proved to be a little heavy and would crush most bodies it was applied to. I was very excited to finally meet my ancestor from 1223 A.D. 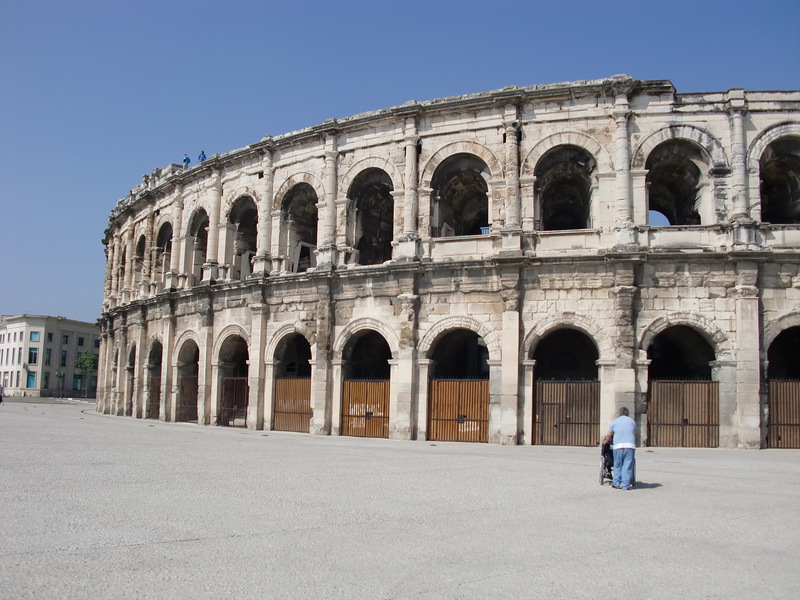 In the nearby town of Nimes, we visited a Roman Arena that still stands in the center of the city. I got my climbing gear on again and headed straight for the top. It was a long way to the base so I hitched a ride with some guy and his shopping cart. That thing is huge. It is something like 500 body lengths high. Well 500 of my body lengths high at least. The top is bare, crumbling rock and that was laid down centuries ago. The uneven edge and great height is very frightening. I made it to the top and beat a hasty retreat. From there we went to Arles. There was another arena there. This one is being used for a “kinder” kind of bull fighting where the bulls chase the people around the arena. The runners try to grab flags that are tied on the bull’s back. This is a kind of suicidal flag football. The bull does his best to skewer the runner and the game is on. This is a YouTube video that pretty much says it all. http://youtu.be/A0-51FFszbo They tell me it is more humane because the bull is spared but I don’t know that harassing him is much better but he does have a chance to get a poke in now and then. There is a small footrest thing along the inner arena wall that the runners can use to help leap the wall and escape the horns. I gave it a shot and Rick caught me when I launched into the stands. 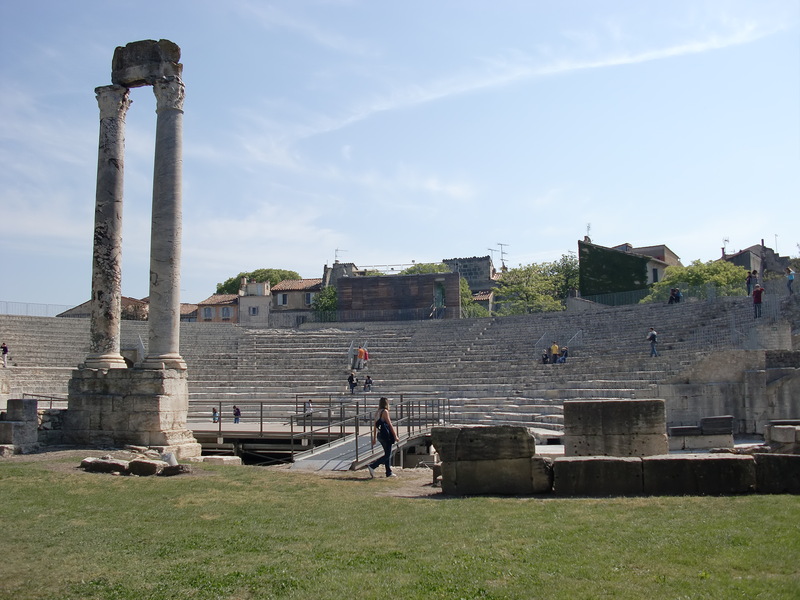 There is also a somewhat restored Roman theater in Arles. This area of France was a solid part of the Roman Empire and even part of Italy from time to time in history. 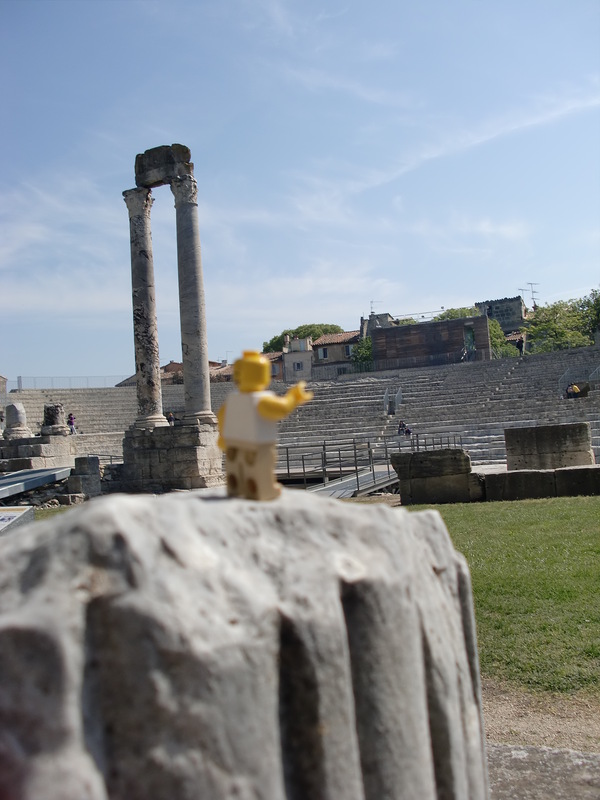 There are still quite a few Roman ruins in the area left for tourists, researchers, and small yellow skinned figures to explore. The theater has some of the original stage and seating area. The acoustics are good enough for even a tiny voice to be heard. The province area of France is known for many things including the fine dining to be had there. Fresh seafood dishes are plentiful and rich Provincial sauces and seasonings are world famous. Since we would be leaving France shortly, I decided that I must sample the famous French food and partake of a dish that is so identified with France that “French” is in its name. 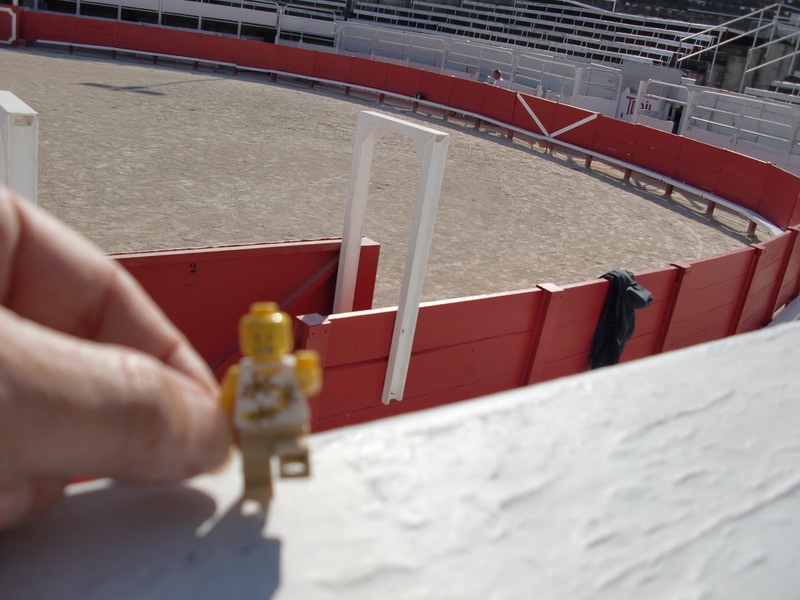 This entry was posted in Humor, Leggos, Travel, Uncategorized and tagged Bull fights, leggo, travel. Bookmark the permalink.